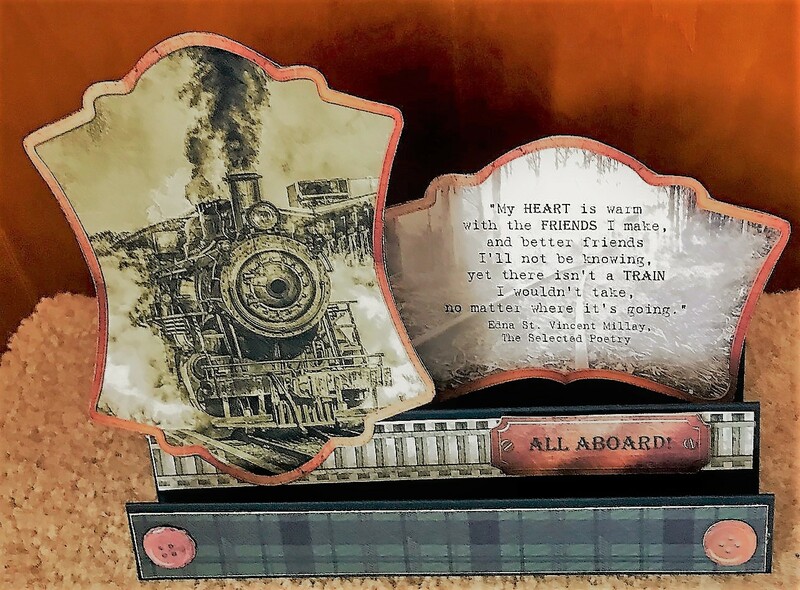 My Creative Life: ALL ABOARD! Train cards are the theme for this week. If you are or know a train enthusiast these are worth the effort. Not everyone likes flowers as much as I do, so when I make cards I like to have some varied themes on hand. I do confess that probably 90% of what I make does have flowers. 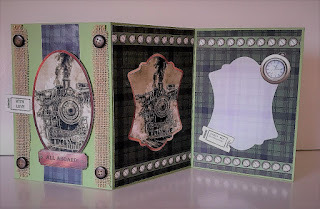 These were made using Debbi Moore Designs paper patterns and elements. This theme can be found on the Shabby Chic 2 usb. I did have to print and cut out the various elements that I chose to use and then put them together in a unique and pleasing way. 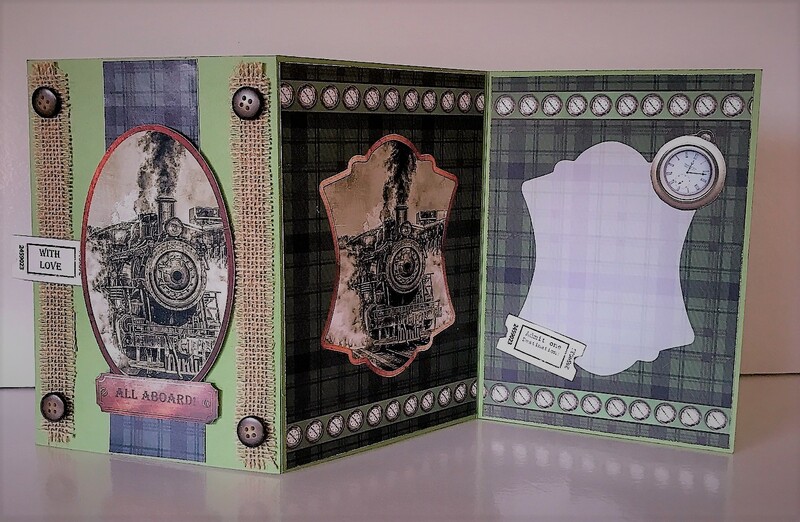 I added burlap and buttons to the Z-fold card and the buttons on the stepper card are paper that I enhanced with Glossy Accents. Do you know a train enthusiast? Have you ever made a train card? I'd love to know. Leave a comment below.